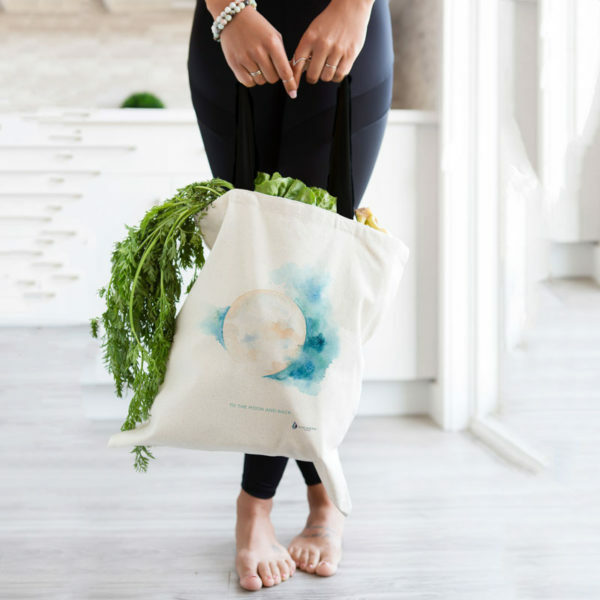 Go about your errands with this unique watercolor sacred moon tote bag at your shoulder. 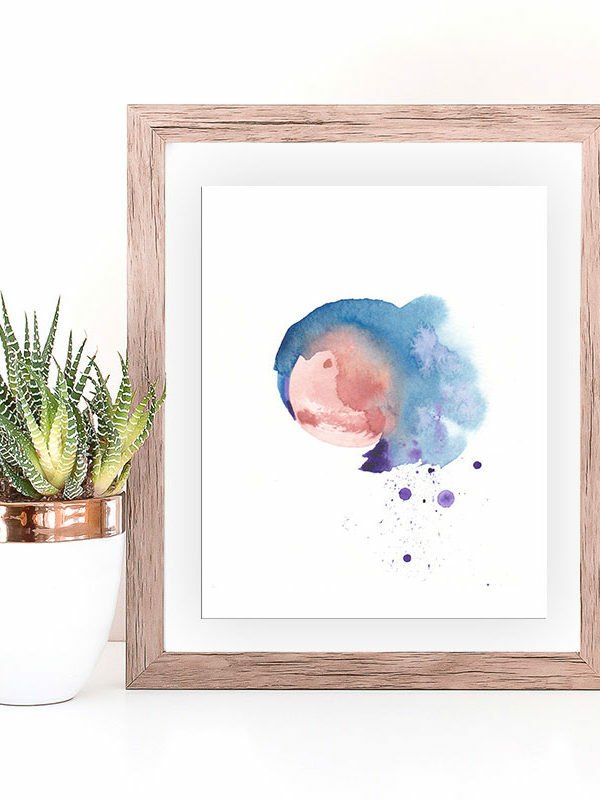 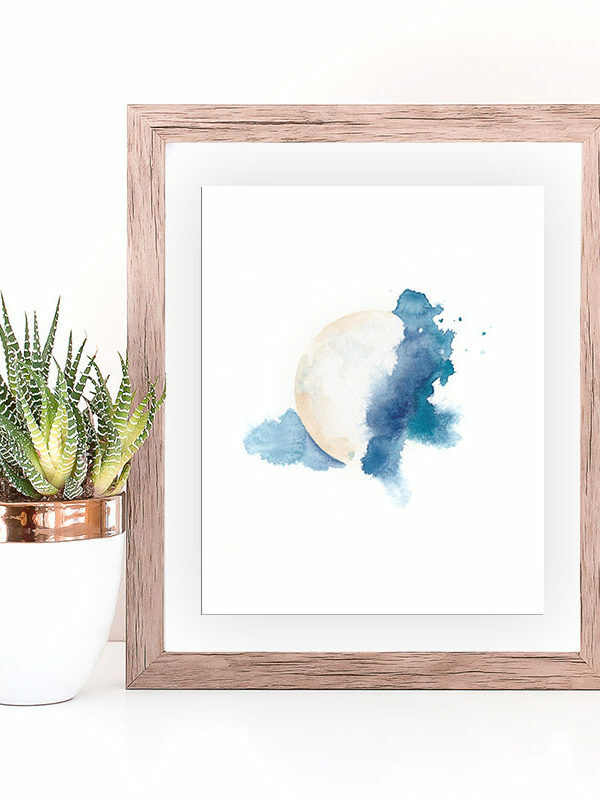 Mystical and bold, this sacred moon design is like none other—created by an intuitive watercolor artist and inspired by the magical phases of the moon. 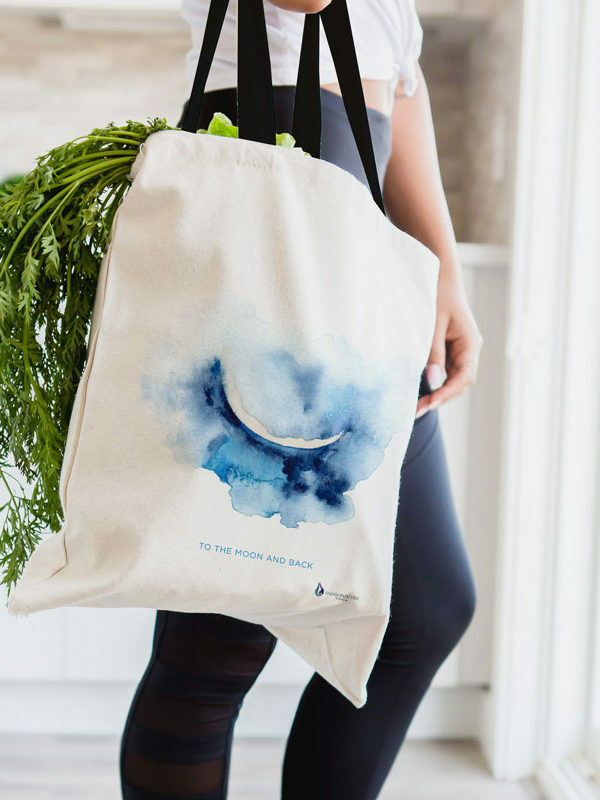 Perfect as a shopping bag, gym bag, work bag, school bag, knitting bag, laptop bag, and so much more. 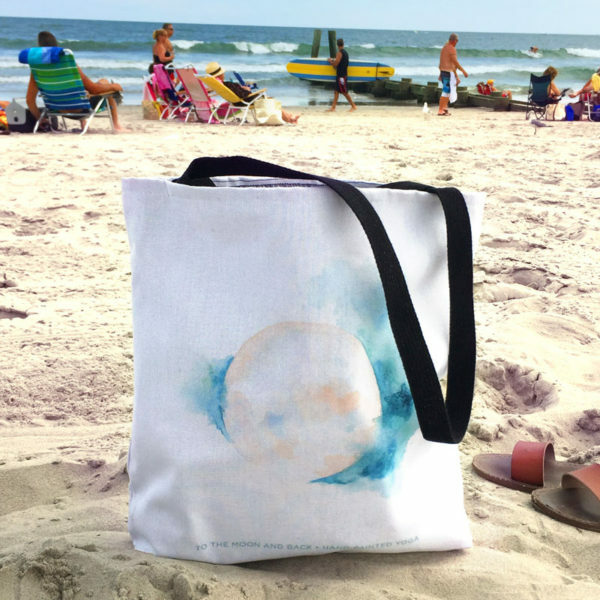 This tote is 16″ x 16″ with a black strap and black interior lining to hide dirt. 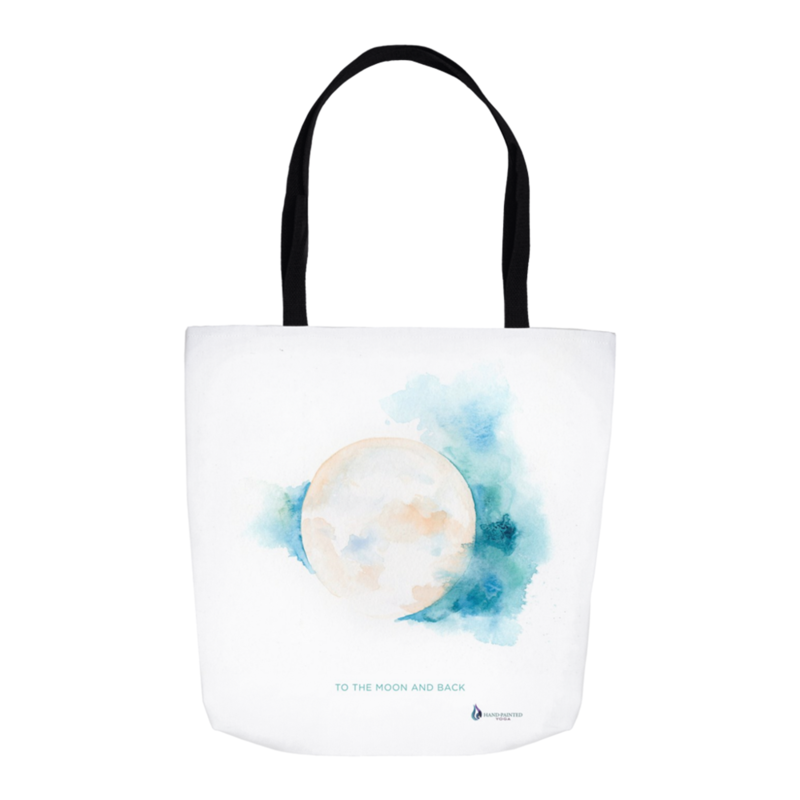 It says “To the Moon and Back” in small lettering along the bottom.